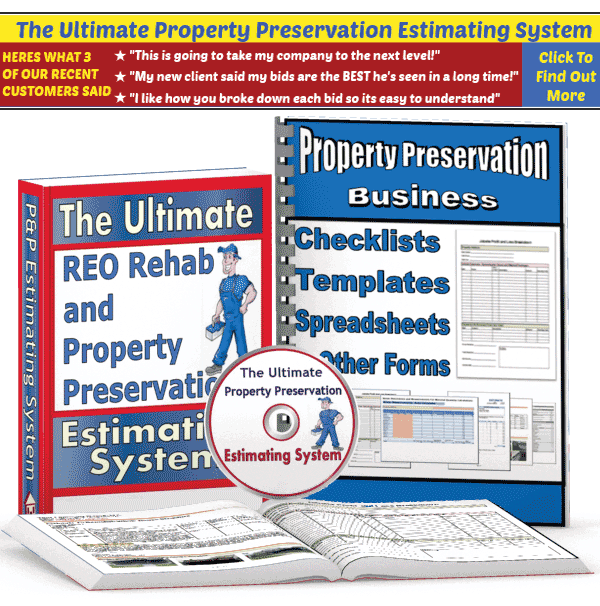 There are currently 3 different types of vendors who are actively being recruited to complete work within the Property Preservation Industry. Here is a brief overview of what is expected from each of these 3 types of vendors. As an REO inspector or property preservation inspector, you will be responsible for weekly or monthly inspections of the bank’s foreclosure properties to determine such things as occupancy status (Is the property vacant or occupied?) current condition of the property (Are there any new damages to report? ), perform quality control checks on the repair orders being completed by other vendors. You do not need any construction background to complete inspections, but it would be helpful. 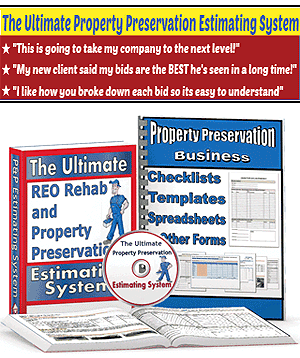 A Repair Order is what you receive once your bid (estimate) gets approved, and your client sends it over to you as a request to complete the repairs per your bid. You would then take the necessary steps to complete the repairs or arrange to have them completed using your own network of independent contractors. As a maintenance contractor, you will be completing mostly smaller jobs that do NOT require you to have any specialized construction background. Typical property preservation maintenance jobs include changing locksets, boarding up or repairing broken window panes, performing winterizations, removing debris, cleaning entire properties (maid services) and depending on the client, you may also receive work orders that involve grass cutting & other misc lawn maintenance. You will also have to complete some inspection type tasks such as noting the current condition of the properties that you are working on as well as basic estimating of minor property repairs. Although you do not need any extensive construction background to complete these basic property maintenance jobs, it would be helpful. if you wanted to accept the larger repair jobs along with these maintenance jobs.